After more than two years of a surging bull market that has seen the major stock market indices more than double, it is not surprising that many investors are becoming more concerned about protecting existing profits than finding ways to increase existing account balances. As someone who makes a living trading options, you would think that finding a way to hedge my portfolio using options ought to be second nature by now. In fact, I have always placed more emphasis on offense than defense, not because I underestimate the importance of risk management, but because I generally find the opportunity cost of portfolio protection to be too high. I am sure this will sound like heresy to some, but the truth is that I never want to pay the full price for portfolio protection, so my efforts at hedging my portfolio have always emphasized finding the narrowest possible hedge for my needs and limiting the cost of that hedge as much as possible. In a nutshell, my approach is to try to figure out where the best place is to cut the corners and shave the odds, without significantly increasing my exposure. An academic may refer to this as creating a bespoke or customized hedge. I prefer to think in lay terms of cheating the odds. With the above in mind, the balance of this article attempts to explain how I look at constructing custom partial hedges. First off, I have little interest in a hedge that caps my upside potential. For this reason, I generally steer clear of collars, unless I am going on a vacation and have no intention of watching the markets. The common theme in each of the above three hedging strategy approaches is that an investor chooses partial protection rather than full protection, based on an assessment of the extent to which he or she finds losses to be an acceptable risk and at what losses must be hedged in order to preserve trading capital. In the description of the three types of hedges, I have adopted some terminology normally associated with the insurance industry in order help clarify some important concepts. Specifically, I use the term deductible to describe the portion of a portfolio that is unhedged and thus 100% at risk. 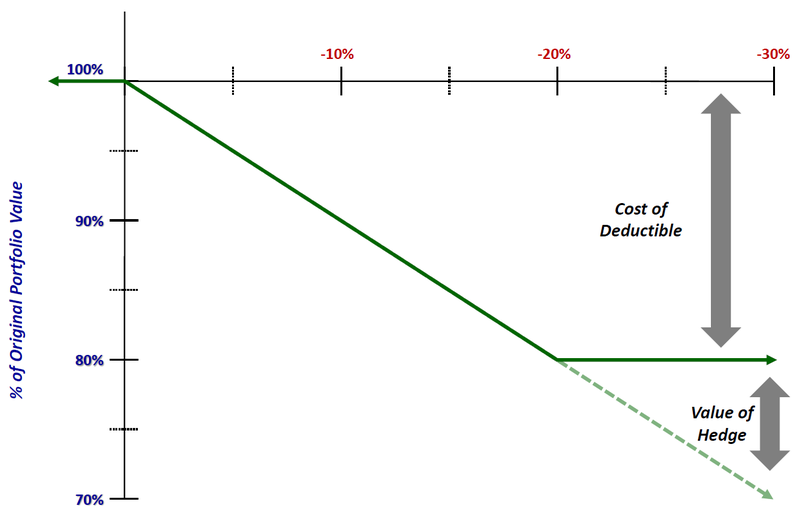 As Figure 1 below shows, in the case of a Disaster Protection Hedge, the deductible amount is equal to the first 20% of the losses that are unhedged, before the insurance threshold is triggered. In options parlance, the example in Figure 1 would be equivalent to holding a long position in SPY at 130 and having the position hedged with long SPY 104 puts, as 104 = 130 * 80%. While every investor should think long and hard about being hedged against a disastrous fall in stocks, such as the experience in 2008, in reality a 100-year flood does not happen very often and can be an expensive hedge to maintain on a daily basis. For this reason, I like the idea of what I call a Gap Protection Hedge. 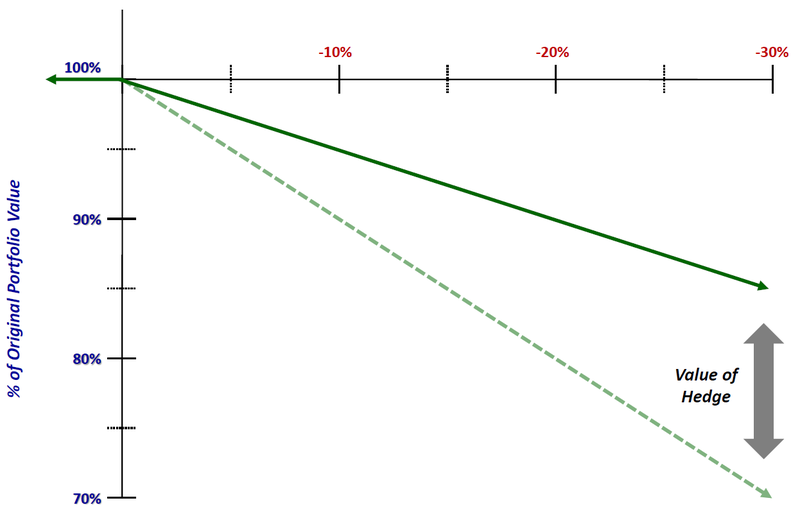 As shown in Figure 2 below, an investor might think that it is unlikely stocks will decline 20% or more, so he or she might prefer to remain unprotected for a 10% drop (i.e., a 10% deductible), yet be hedged dollar for dollar for any loss from 10% up to 20%. The maximum benefit of this hedge is capped at 20%, so once losses begin to exceed 20%, the investor is fully exposed to any incremental losses. In the options world, this type of protection would be similar to holding a long position in SPY at 130, with a hedge consisting of long SPY 117 puts and an equal amount of short SPY 104 puts. While I find it helpful to think about hedged in terms of deductible thresholds and maximum benefits caps, proportional protection has the benefit of simplicity. In insurance terms, this is similar in some respects to a co-pay. As illustrated in Figure 3 below, there is no deductible or cap with proportional protection and the insurance coverage begins with the first dollar lost. This example shows how 50% proportional protection looks in graphical form. Here a 20% drop in the stock market only translates into a 10% loss due to the partial offset of the hedge. In the example below, the options equivalent for this strategy would be a position of 1000 shares of SPY that are hedged by 5 at-the-money puts. Of course, as the contract multiplier for SPY options is 100 shares, one can fully hedge 1000 shares with 10 puts, meaning that 5 puts would represent a 50% hedge. While some investors might be happy sticking to one of the three type of partial hedging strategies mentioned above, the real fun begins when you consider these hedges as building blocks which allow an investor to design custom hedges. For example, let us assume one is comfortable with accepting the first 10% drawdown as a cost of doing business and is willing to remain unhedged for the first 10% of portfolio losses. At some point, an investor will likely want a hedge to begin to offset some portion of incremental losses, yet might still think protection is too expensive to warrant being fully covered at a pullback of 10% or 20%. This investor might also think that stocks are unlikely to fall more than 30%, yet may not want his or her portfolio to suffer losses in excess of 20%. One way to structure a hedge that meets all these requirements would be to buy gap protection for stock market losses from 10% to 20%, have proportional protection of 50% to cover losses from 20% to 30% and rely on disaster insurance in the event losses exceed 30%. Here the total maximum loss is 20% (the first 10% and 50% of the next 20%) and the hedge is structured in such a way that the investor pays nothing for the most expensive insurance (the first 10%), gets a discount on the next most expensive insurance (the proportional insurance for the next 20%) and only pays full price for the most unlikely events, where the markets fall more than 30%. 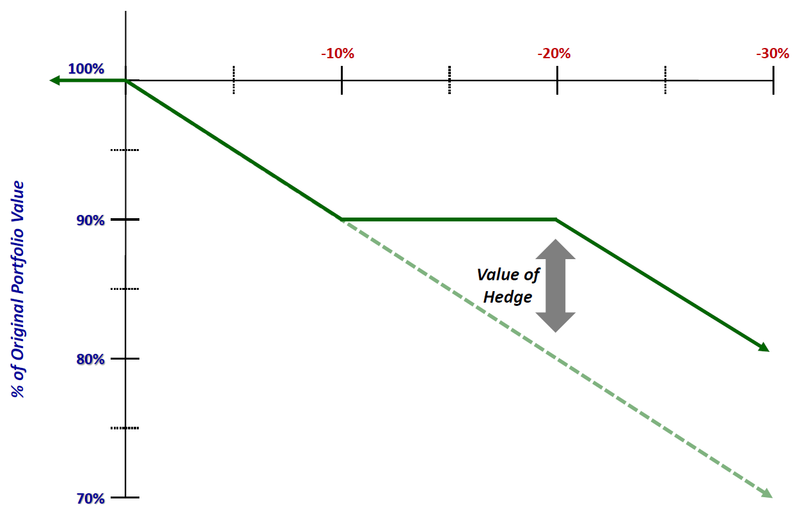 There is no denying that hedges are very expensive, particularly for those who put more faith in their trading skills than their hedging skills. Like any high wire-act, however, successful traders need a safety net to allow them to perform complex and dangerous maneuvers. 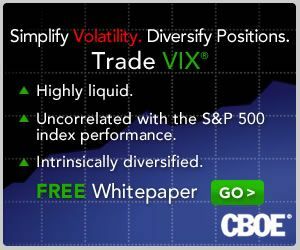 Traders who are able to define their risk tolerance in terms of worst case scenarios and potential maximum drawdowns have many ways in which to structure hedges to limit their risk. This article highlights three different approaches to structuring partial hedges for the purpose of maximizing portfolio protection while minimizing the cost of these hedges as well as the magnitude of certain types of risk. By combining these different partial hedging strategies, traders can customize their risk exposure to match individual needs and ensure that appropriate hedges can be constructed in a manner that is as cost efficient as possible.